In my opinion, the organic ambient effects captured in the recording of "Heroes" around David's vocals single-handedly define the emotion in his performance of the lyrics and melodies in the song. It's a very simple music production and recording technique that was created by Music Producer Tony Visconti. Tony set up one main close microphone in front of David with two extra microphones set at different distances from the first within the recording space. The two distant ambient microphones ran through outboard noise gates that would open when David sang louder thus recording different sized reverbs of the hall. When David sang at his loudest the microphone furthest away would open providing the largest reverb tone in the vocal mix. This video review of Tverb, a plug-in developed by Eventide, demonstrates the Tony Visconti vocal effect. Tverb was specially designed to emulate the workflow of this music production technique for a music mixing workflow suppose to a physical recording/tracking workflow. 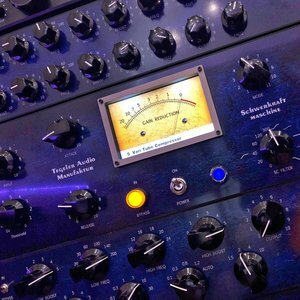 You will learn how to recreate the Tony Visconti three microphone music production technique using just the plug-ins that are included free in your DAW for music mixing in your recording studio. The physical method of this production technique requires three microphones when recording - this video tutorial will show you how to recreate this using one source track recorded with a single close microphone and no third party plug-ins. Newer PostDo You Think Multi-Instrumentalists Are Better Music Producers & Mix Engineers Over Musician's Who Only Know How To Play Single Instruments In Todays Music Production Industry?